fat loss | Coach Billy. The TRX suspension trainer is the best versatile tool that is portable and easy to use. You can easily attach it to your doorpost or a pole if you are on the go and have no access to your gym. The exercises that you can do will challenge your core and work your upper body muscles and even your legs. Because it works the whole body, you are sure to burn calories and tone muscles on the go. You can easily shift from one exercise to another and do your own circuit training using your body weight. You still don’t believe that you can do lots of exercises by just using the TRX suspension trainer and your body weight and work your upper body muscles, core, and legs? Check out this video below and see 70 various exercises that you can do with the TRX suspension training system! The TRX suspension trainer is safe to use and the package comes with a easy-to-read guide for exercises that you can do at home, in your office, or even at the beach! There are lots of exercises that you can do with the TRX suspension system. You can bring it anywhere and easily attach it to a pole or doorpost or anywhere stable. It is easy and safe to use and you can get a total body workout with this dynamic tool! Watch another advanced exercise by Naudi Aguilar using only your body weight! Click here. Do endurance runners (especially marathoners or triathletes) need a Coach? There’s a reason Olympic runners have coaches—the same reason you may need one. Meb Kelfezighi has a coach. So does Desiree Davila. So do Kara Goucher, Shalane Flanagan and Dathan Ritzenhein. Almost all of the American runners who went to the London Olympics last summer work with coaches. Self-coached age-group runners might wonder why. After all, running is not a team sport where a coach is needed to decide who starts and who comes off the bench, who plays which position, and so forth. Nor is running a highly technical sport like swimming, where coaches are needed to observe and correct form flaws. Indeed, one of the virtues of running as a sport is its simplicity. Within a few years of taking it up any runner can acquire all of the knowledge he requires to coach himself. If you ask America’s Olympic runners directly why they have coaches, most of them will not cite their lack of knowledge of the sport. These runners know perfectly well how to train. They seek other things from their coaches. Kara Goucher has said that she relies on her coaches to help build her confidence and to take the burden of planning and interpreting her training off her shoulders. Many elite athletes rely on coaches to keep them from doing stupid things, like responding to symptoms of overtraining by training harder. Another advantage of working with a coach is accountability. This advantage snuck up on me when, in my late thirties, I chose to work with a coach for the first time since high school. My conscious reason for hiring a coach was that I had run out of ideas on how to improve and I wanted someone to give me fresh ideas. That’s another benefit of working with a coach. And, sure enough, my coach had me try some new things with my training that worked well. This was expected. What was unexpected was the sense of heightened accountability that I felt. I never saw myself as an athlete who cut corners, but when I had a coach to report back to I suddenly found myself not cutting corners that I had cut unconsciously before. alleviation, stupid mistake avoidance, accountability, and fresh ideas—could make the partnership worthwhile. And the knowledge component should not be underestimated. For lack of knowledge most runners, and even most competitive runners, make fundamental mistakes in their training such as not varying the intensity of their workouts sufficiently. Once you’ve made the decision to work with a coach you must then find one. The first step in this process is deciding if you’d rather work face to face with a coach in your area of work through the internet and/or by phone with a coach who could be anywhere. The advantages of working face to face with a local coach are obvious. You certainly won’t do every run with your coach present, but he or she can directly supervise some of your most important workouts. You may also enjoy the opportunity to do track workouts and such with a group of other runners working under the same coach. A coach who sees you run can do things that a remote coach cannot, such as correct your form and observe that you look tired and need a rest. To summarize, I think you should have a coach. Few runners regret the decision to hire a coach, and it’s a small risk in any case. If it doesn’t work out you can go back to talking yourself out of making stupid mistakes with your training. A New Way to Get a Coach. Technology has recently made possible a new type of coach – with the endless possibilities of the internet today, you can sign up for coaching online! 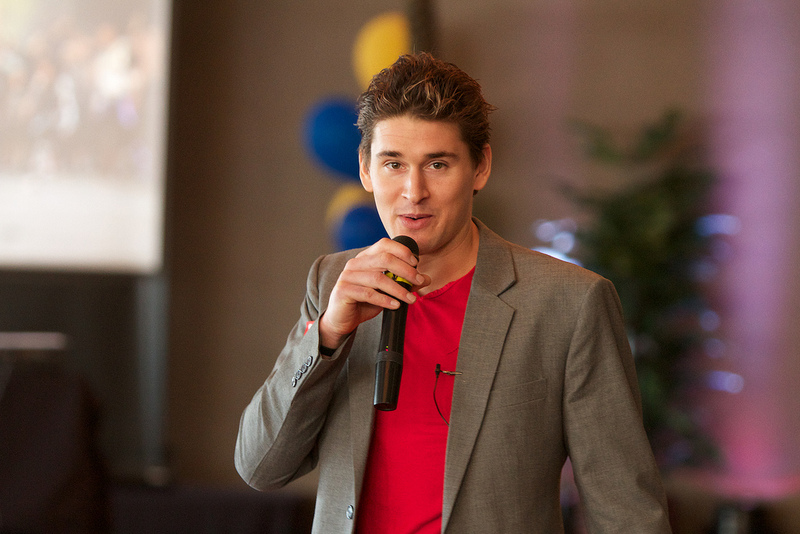 For runners, I recommend Ben Greenfield, author of Author of the popular “Beyond Training” book. He is currently the founder and owner of Human Wellness Solutions, a company that develops innovative and cutting-edge fitness and nutrition services and solutions to help people reach their physical and mental performance goals, whether that be to cross the finish line of an Ironman triathlon, or simply shed a few pounds. The advantage of this online coaching and training course is that you can have access to the products of one of the best athlete and coach there is at any time you want! Ben Greenfield offers lots of advice, lessons, and training plans from the Triathlon Dominator, to Running pain free, and strength training. Another great advantage of having an Online Coach is that it costs less compared to when you get a personal coach. When you get an Online Coach, you only pay for a one-time investment for the program you choose, whereas having a personal coach requires you to pay him/her for every session! These programs are proven to work and you can see the many testimonials available for each program. The only setback to having an online coach is that YOU have to push yourself and motivate yourself to be dedicated, consistent, and patient with the program. Remember that this is not some advertisement that you usually see on the internet claiming instant results – it’s a TRAINING COURSE based on proven exercise programs backed up by sports science. The instructions, demo videos, and even one-on-one online coaching are available with a click from your hands. Like any other training regimen, the results are based on how committed you are to training! 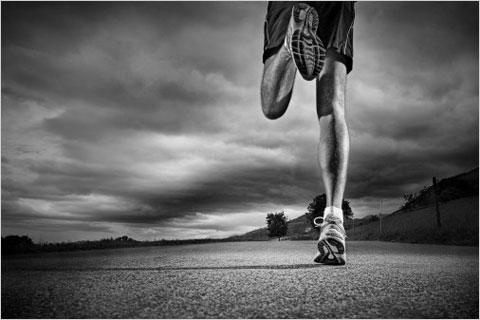 The guarantee for each program to work depends on how you guarantee your commitment to it and your passion for running. Don’t get it if you think you won’t be able to follow consistently and be patient with the results. But if you are passionate with your sport and you really want to commit to train to achieve more, then get coached by one of the best triathletes today – it’s worth the investment!